I was going to sleep, but that's not working out so well so I'll post a blog instead. A thought that I started researching forever ago was love because I wanted to write a really thought provoking blog post. That never happened, and of course because it was so long ago I can't find my notes that I was writing. However, love is something that has come up in my thoughts quite a bit recently and so I think it's time to pour out some thoughts on this electric piece of paper. So, what is love? Growing up, I never quite understood how people talked about love. "Oh, I just LOVE >insert some food item here< it's my favorite!" Or, how about, "I LOVE those those shoes; they're perfect for my new outfit." Or, "I LOVE the way the information is presented in this book, it's amazing." Or, "I LOVE what you've done with your hair." The lsit goes on and on. So, what does "LOVE" really mean? I've never thought of love as an emotions but rather a choice. It's a choice to follow through with a commitment that you've made, even when a person is driving your crazy. It's a choice to not way away from a difficult situation but instead work it out. It's a choice to be there for someone that is going through a difficult time in their life. Someone posted on my Facebook page, "To me it means caring for others even though you don't feel like it and sharing the joy of eternal life with someone that's lost." 1 Corinthians 13:4-8 states, "Love is patient and kind, love does not envy or boast; it is not arrogant or rude. It does not insist on its own way; it is not irritable or resentful; it does not rejoice at wrongdoing, but rejoices with the truth. Love bears all things, believes all things, hopes all things, endures all things. Love never ends." How many times do you use the word LOVE when it doesn't apply? I don't know about you, but I use the word LOVE inappropriately way more than I should. I'm even guilty of some of the above statements myself. I don't like that. I don't want to be saying things that just don't make sense. This topic is kind of out of the blue. There have been no major changes in my life, still single and not dating, nothing has come up to make me question what love is. However, I've been struggling quite a bit with my depression lately. Everyone has what I like to call a "love tank". This tank can be ful, or empty, or somewhere in the middle. Everyone accepts love in different ways (the five love languages) and everyone gives love in different ways. If someone is receiving love in a way that is not their love language then their tank starts to empty and is not refilled. 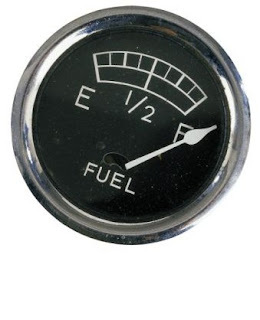 I think my tank is pretty low right now, thus the struggle with depression. What I've recently realized is that I'm pretty high maintenance. Not high maintenance in the sense that I needs lots of things in my life or to be pampered, but high maintenance in the fact that I don't have one love language, I have all five. I had a friend once tell me I was like a chameleon, she couldn't figure out my love language; I would always give her and the people around her love in the way that they best received it. We had a good laugh about it, but that moment comes back to me now. It comes back to me now because I think that there was more information in that little exchange than I realized. The reason I can love people in the way they need to be loved is because I need to be loved the same way. So how is your love tank? 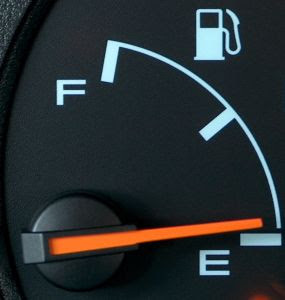 I would hope that most people's tanks would be full but I have a sneaking suspicion that there are many people out there running closer to empty. Maybe not you, or people in your family, or your close friends, but there are many people in the world that are alone. Who fills their love tank? An interesting article.You're really good! We do definitely agree that people take the word 'Love' for granted, amongst other things. Good post! We like it! Quite interesting. It's funny that you should mention this kind of thing. What's more is the timing that I saw this.Thanks.